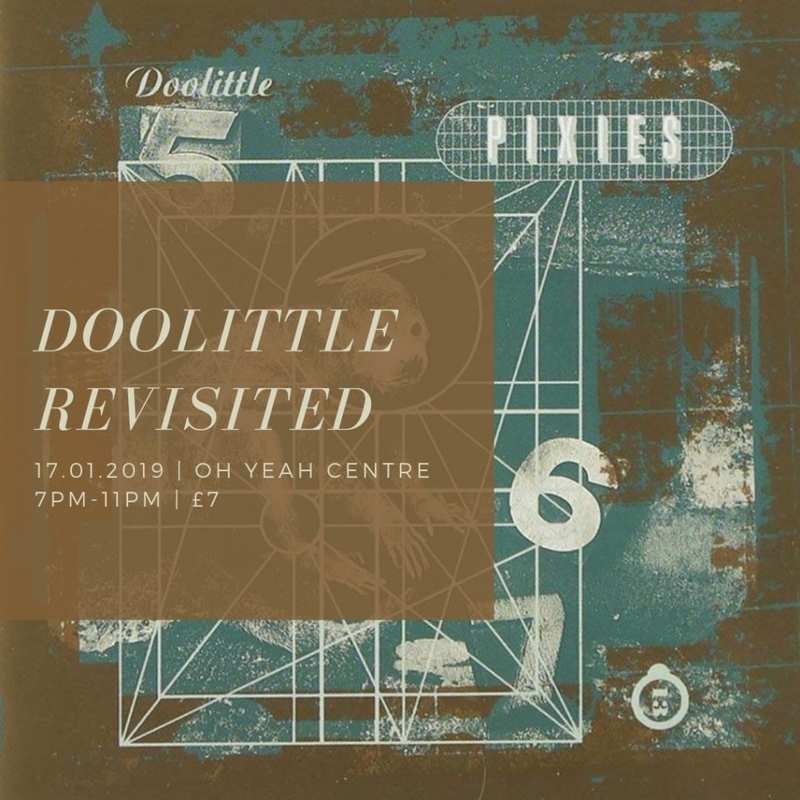 Returning to the Oh Yeah Centre in 2019 is the Revisited Series, with the New Year edition focusing on the iconic Pixies album Doolittle – just four months before its 30th release anniversary. Doolittle challenged the standard of music for many decades to come with tracks like: ‘Debaser’, ‘Here Comes Your Man’, and ‘Hey’ – The perfect album to begin the year with. I accidentally arrived an hour earlier than I should have alongside a few other confused, yet unbothered faces thanks to chopped and changed door times. After disappearing to kill time I returned to be greeted with a completely packed Oh Yeah Centre. Familiar faces filled the room, with pints in hand and smiles upon greetings. It was actually quite surprising. First to take to the stage was Rory Nellis. Performing alone, he showcased his own rendition of ‘Debaser’ – a strikingly different take on the instrument-heavy track. 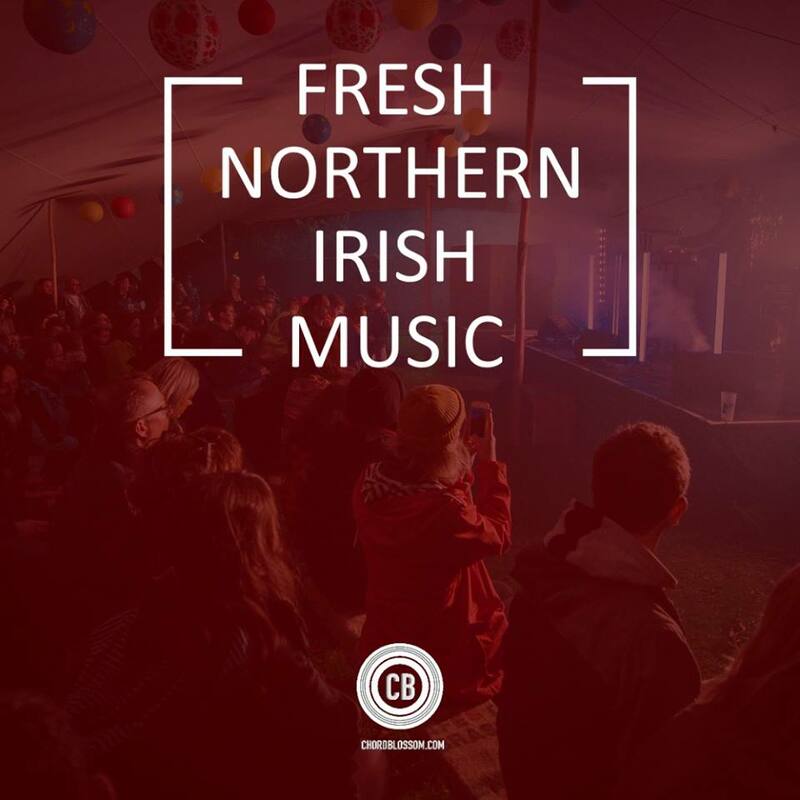 Audiences in recent times have grown accustomed to fantastic walls of ethereal noise emanating from the stage at Nellis’ gigs, following the release of his latest single ‘The Fear’. His take on the Doolittle tracks took the audience back to the early days of Rory Nellis’ career, with sound pacing and beautiful bareness, warming up our ears for the acts to follow. 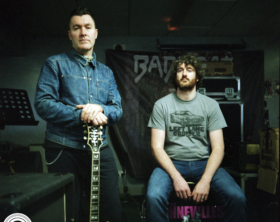 Before moving on to ‘Tame’, Nellis told a story of the guitar he played ‘Debaser’ on – how he had found it isolated at a bus stop just five years previous. Nostalgia flowed from his tale, which took the audience back to the early days of his career. After a quick break, Hand Models set up onstage with friend and fellow musician Ciara King, who’s most recent Empire gig with Problem Patterns proved to be a roaring success, joining to act in the role of an instrument-less Kim Deal. In fierce and fast contrast, the group ripped through the calm atmosphere with their rousing covers of ‘I Bleed’, ‘Dead’, and ‘Here Comes Your Man’ (or “Here Comes Yer Ma” as drummer Richard Bailie announced). Frontman Gareth Murray mimicked the vocal style of Black Francis perfectly, from his ad-libs to his punctuating humour, which raised a few eyebrows and chuckles in the crowd. We were well and truly at a Revisited show. The crowd’s eyebrows are soon to be permanently raised, as Shannon Delores O’Neill of Sister Ghost took to the stage. She absolutely blew the roof off with her signature punch and power with the performances of ‘Mr Grieves’ and ‘Crackity Jones’. A real signature at the bottom of her already booming track record of exceptional performances. The stage takes a longer break to recover before all acts return to wrap the night up with both original material and collaborative covers of the final Doolittle tracks. Rory Nellis outstandingly performing such a difficult track as ‘La La Love You’, jokingly explaining his regret for choosing it, given how musically complicated it was. Nonetheless, he performs it perfectly in his own style, making it one of the best tracks of the night. 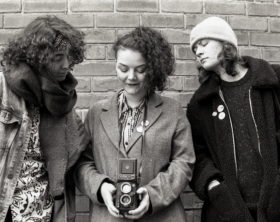 Hand Models perform ‘There Goes My Gun’, with amazing backing vocals from King, and again with their most recent single ‘Banana’ – For the bands first time having King join them on backing vocals, they performed immensely well. As Sister Ghost set up for the last few tracks of the night, O’Neill announced to the crowd how this next Pixies track was apparently recorded in one take. The audience then erupted with excitement. Once again the incredible turnout is noticed as ‘Hey’ is covered onstage, with the crowd singing and dancing along – it is clear ‘Hey’ is favoured by these Pixies fans. 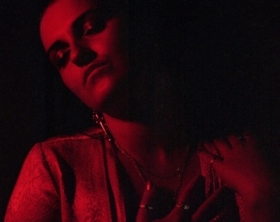 Finishing with her original track, which was released on the previous Monday, ‘Backwards’. Sister Ghost’s well-rounded, incredible performance makes for the best ending of a hugely successful night for the Oh Yeah Centre’s Revisited Series.